_Established in 2009, The Green Initiative Fund (TGIF) is a student led fee referendum designed to empower undergraduate students with the financial resources to fund projects regarding the 3 main aspects of sustainability:- Economy- Ethics- Environment Funded by a $3.50 per quarter student fee beginning in Fall 2009, The Green Initiative Fund is a grant-making fund for sustainability projects on UC Irvine's campus. About $120,000 per academic year is available for grants for any undergraduate students, organizations, or collaborative between organizations/departments are eligible to submit project proposals. The principle goal of the Green Initiative Fund is to provide funding for projects, which produces an outcome, that campus more sustainable by reducing the University’s impact on the environment. 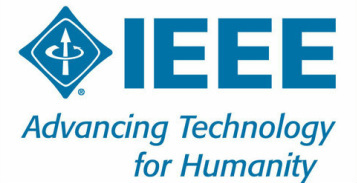 _IEEE is the world’s largest professional association dedicated to advancing technological innovation and excellence for the benefit of humanity. IEEE and its members inspire a global community through IEEE's highly cited publications, conferences, technology standards, and professional and educational activities.